Bed bugs are one of the most challenging of all pests to get rid of, but fortunately, you have options. 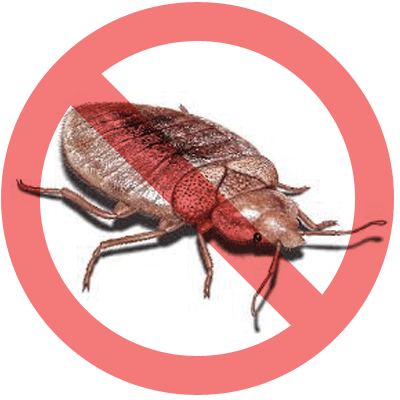 For a minor infestation, a natural bed bugs solution usually works well. However, when dealing with a large infestation, the best bed bug solutions are provided by professionals. 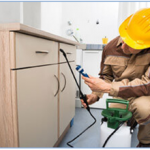 Most companies that offer services for pest control in Toronto start with a natural bed bugs treatment. In many cases, natural remedies are highly effective but also safe for children and family pets. However, if taking a natural approach fails, experts turn to a more aggressive solution that consists of artificial products and methods. The natural solution used will depend on the company that you hire. Most pest control companies use powders or sprays that contain organic mixtures. One of these is Diatomaceous earth, which comes from small fossilized sea algae. As strong as a diamond, it is comprised of microscopic crushed pieces that cut the extremities of bed bugs, causing them to dry out and die. One of the many reasons why you should leave a bed bug infestation to a professional is that these nasty pests do not always respond to certain pesticides. In fact, if the wrong chemical is used, the effects will only last a few months. The problem is that bed bugs, which feed on blood, can actually live up to a year, sometimes longer, simply by starving themselves until chemicals are no longer effective. Another reason for using a professional pest control company is that bed bugs are smart, meaning they know how to avoid chemicals. If certain chemicals are used, these tiny pests detect them and then simply alter their route in an effort to find human blood. The good news is that pest control and removal experts know all of the tricks that bed bugs play. Therefore, they apply the right chemicals to eliminate the pests. Beyond chemicals, pest control companies use special traps and, for preventative measure, growth regulators. With traps, bed bugs are lured inside. Once there, they become trapped and die. Growth regulators dry or kill the eggs prior to maturity so there is no opportunity to multiply. For professional services, our team of experts at Pestico can help. In addition to an initial treatment, we offer follow-up services to reassess the situation. We invite you to visit our website or contact a company representative today.